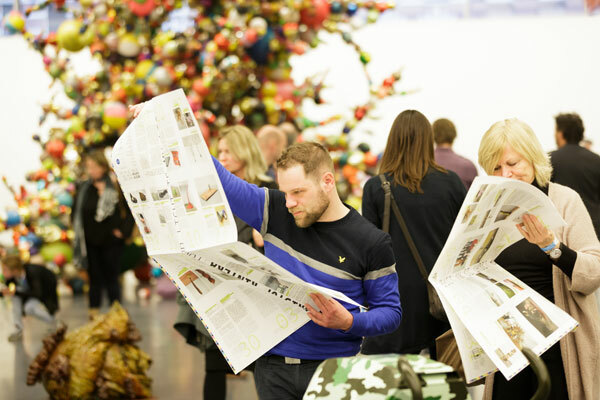 Due to the great diversity of exhibitions in the past twenty-three years, the Kunsthal has built up considerable expertise in communicating its programme to a broad public. The Kunsthal has an extensive network of press contacts and public groups. The quality of the content of an exhibition directs the marketing strategy. Unique collections, top items on loan and special travelling exhibitions are of great importance to attract a broad public. Forms of collaboration with diverse partners to position an exhibition more strongly and to take advantage of new possibilities also play an important role in the marketing of a major exhibition. 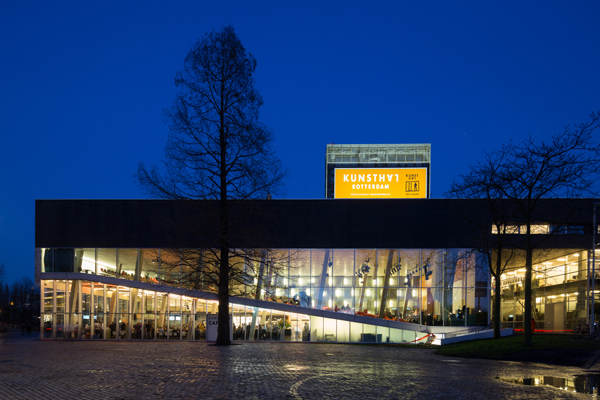 Kunsthal Rotterdam is a strong brand with international allure and is among the twenty strongest museum brands in the Netherlands. Through its broad programme and reputation, the Kunsthal contributes to a constant improvement in putting Rotterdam on the (international) map. The brand popularity that has been achieved is actively deployed in the marketing communication strategy and supports the attractive marketing of the programme to the right target groups. The strong visual branding that was given form in the routing and programme signs inside the Kunsthal in 2014 was also taken as the starting point for the design of the new website. The Kunsthal featured regularly in a variety of regional, national and international media in 2015. Media partners such as OPEN Rotterdam and Boomerang helped to make the exhibition ‘do it (Kunsthal Rotterdam)’ visible, and the Kunsthal worked with AD on a readers action in connection with the KunsthalCooks & cultivates festival. After the cooperation on the James Bond exhibition, the Kunsthal started a campaign again with media partner GANDA during the Freaky Spring. Visitors could ‘freak out’ one of their own photos by using an online tool and share this picture with their friends, after which they received reduced admission to the Freaky Spring exhibitions. 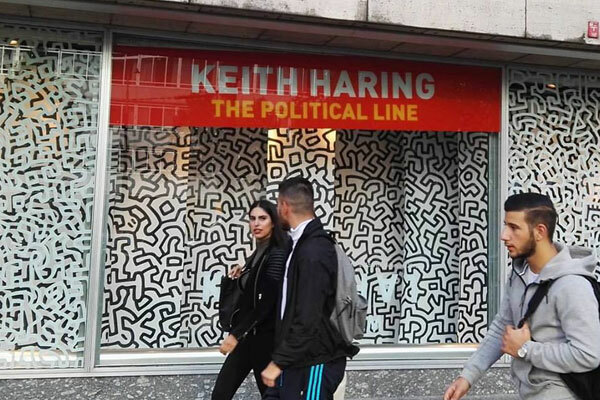 The media attention for the spring exhibitions lagged somewhat behind the media hype in the spring of 2014, but picked up again with the Keith Haring exhibition. AvroTros Kunstuur and the French Telematin each devoted a programme to this exhibition, and DWDD made a special animation about the artist. Kunsthal curator Jannet de Goede was interviewed by various radio programmes. The reports in the print media were endless and just as varied as the public that came to the exhibition, from NRC, Tableau Fine Arts, Nouveau and Gay Magazine to Metro, Story and many blogs. 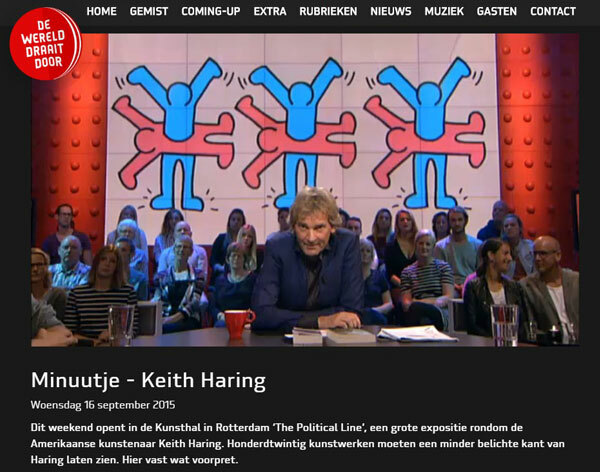 Koffietijd and RTV Rijnmond paid several visits in 2015 for reports on KunsthalCooks & cultivates, Keith Haring and ‘Knitwear. From Chanel to Westwood’. 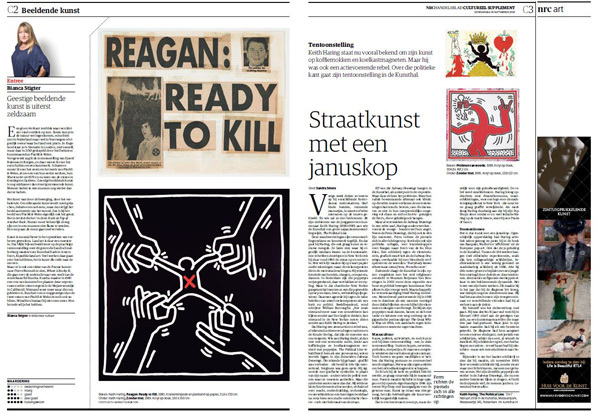 The smaller exhibitions, including Wim Gijzen’s ‘Greetings from…’ and ‘PARRA’, also drew considerable attention from the press. Kunsthal director Emily Ansenk was regularly in the media, for instance as Opium TV presenter and with interviews in Elsevier, AD Rotterdams Dagblad, the VNO NCW magazine West, Viva and EXPO newsletter in connection with Rotterdam 2025. In total, the Kunsthal was present with free publicity in the (print) media in 2015 with a media value of more than € 5 million. Besides the flood of free publicity that the Kunsthal managed to generate with visibility in the city and in other ways, various regional and national special offers and arrangements were developed with a variety of partners. More than 2,000 visitors came to the Kunsthal via special offers in Rotterdam with Diergaarde Blijdorp, Euromast, Bijenkorf, Nationale-Nederlanden, Museumpark Ticket, Rotterdam Welcome Card and others. National actions with the BankGiro Loterij, SPOOR Magazine, Holland Pass, Etos, Avro, Robeco and others accounted for more than 6,000 visitors. These statistics are comparable with the special offers that were organised with these partners in 2014, so there is good reason to continue the collaboration in order to reach their followers. A new feature this year were the discounts that the Kunsthal introduced on its social media channels and which have received an enormous response.